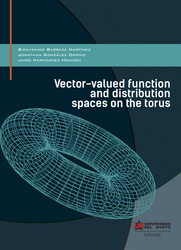 This book contains part of the results of a research project funded by Colciencias and executed by the research group Grupo de Investigación en Matemáticas Uninorte (Colombia), and contains details of properties, which are satis ed by certain spaces of vector value functions and distributions de ned on the n dimensional torus. In particular, the text addresses an introductory study of the toroidal Besov spaces, which appear in many applications to partial di erential equations with periodic conditions and in harmonic analysis. This work can be very useful for undergraduate and graduate students in Mathematics as well as for researchers interested in the topics mentioned above.